Template Pattern is a Behavioral Pattern that contains template methods for storing the algorithm steps. These algorithm steps are divided into sub classes. This method uses abstract methods for implementation. Template pattern is referred as “The Hollywood Principle” and the sub classes of the template can be overridden using final keyword. The logic of the system can be modified easily. Template methods can be represented using customized hooks. Algorithm steps can be kept in sub classes. AbstractClass – characterizes unique primitive operations that solid subclasses characterize to execute the ventures of a calculation. Abstract class actualizes a layout strategy, which characterizes the skeleton of a calculation. 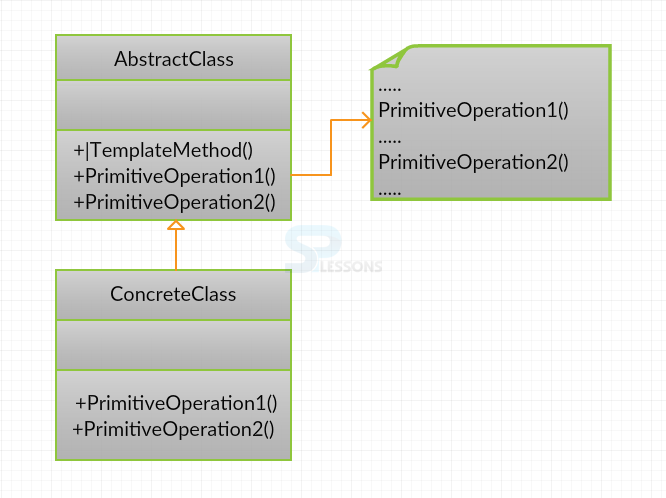 The format technique calls primitive operations in addition to the operations characterized in AbstractClass. ConcreteClass : actualizes the primitive operations to do subclass-particular strides of the calculation. At the point when a solid class is known, the layout technique code will be executed from the base class. While for every strategy utilized inside, the format technique will be known as the usage from the determined class. Creating an abstract class Sports and making it as abstract. Creating a class Hockey and extending the class Sports. Creating a Tennis class and extending the class Sports. Hockey Game Initialized! Start playing. Hockey Game Started. Enjoy the game! Tennis Game Initialized! Start playing. Tennis Game Started. Enjoy the game! 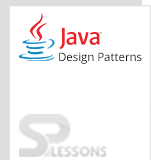 Template Pattern – Default implementation can be provided. Template Pattern – Algorithms can be easily implemented.